God’s vision is of a world without poverty and inequality, where everyone has enough and creation is well cared for. Over the last 50 years we have seen huge progress in tackling poverty, but the extremes of inequality and climate change we now face threaten to unravel this progress. But our faith gives us hope in God’s plan – to restore relationships with him, with one another and with creation. And we all have a part to play in this Restoration Story, in our lives and in our churches. Restoration Story is a brand-new short film from Tearfund that tells the stories of Christians all over the world who are coming together to tackle poverty, inequality and climate change – through living differently, praying and speaking out. 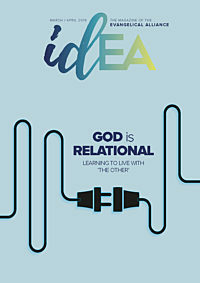 Designed to be used either in a main church service or a small group setting, the film comes with an easy-to-use discussion guide – including a quiz, Bible reflection and some questions – to help you reflect on the issues raised and consider how you can respond.